We are a unique business neighborhood located in the area of 50th Street and France Avenue. 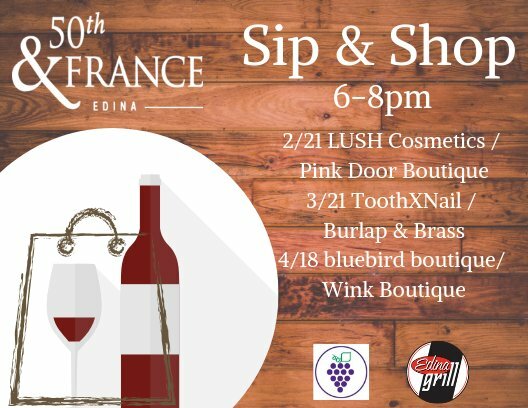 50th & France features over 175 retailers and professional services. Our retailers include: apparel for men, women, and children, jewelers, and many specialty and gift boutiques. Pamper yourself at one of our spas and salons or see an independent film at our art-house movie theatre. For a fabulous dining experience, enjoy our diverse selection of restaurants to wine and dine at, ranging from casual to contemporary and fine dining. We also feature bakeries, café’s and gourmet treats. 50th & France is the perfect place for a mini get-a-way for the day, an outing with your girlfriends, or a fun date night. 50th & France offers plenty of complimentary parking. 50th & France will be the pre-eminent destination for the discerning consumer desiring a charming neighborhood experience.